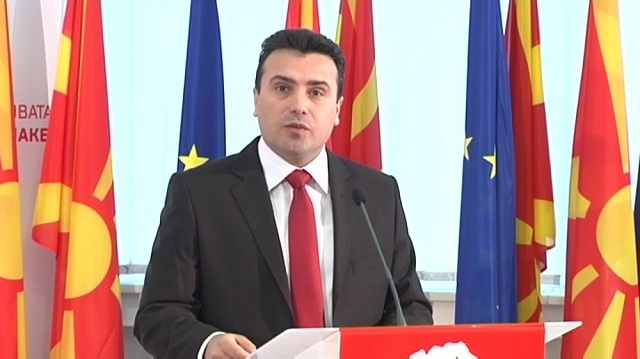 The proposal, the Republic of Ilindenska Macedonia, was rejected by both the Greek side and the Macedonian opposition, and therefore negotiations could not be continue regarding that name, said Prime Minister Zoran Zaev, responding to a parliamentary question at parliament put forward by VMRO-DPMNE concerning the name proposal. “We are close to finding a possible solution to the name dispute with Greece. We need to be careful not to hurt the process. I said yesterday some details about the process. Prime Minister Tsipras and I agreed on the “Republic of Ilinden Macedonia”. We concluded that we need to take this proposal back to our countries to see if it’s acceptable. It was not recieved well in Greece. Since the opposition rejected the proposal, we will not discuss Ilinden Macedonia anymore. The referendum is important, and the citizens need to have a say in it. It is sensitive situation, but the solution must be found”, said Zaev. Zaev did not answer additional question on whether Macedonia accepted a erga omnes name and for all other proposals put forward by the mediator in the name dispute with Greece, Matthew Nimetz. Read also: Zaev and Dimitrov insist on "Ilinden Macedonia"